Canon is proud to introduce its most sophisticated Rebel ever—the Canon EOS Rebel T4i 18.0 MP CMOS Digital SLR Camera 18-55mm! Built to make advanced photography simple and fun, the new Rebel T4i delivers phenomenal image quality, high performance, and fast, intuitive operation. This EOS Rebel amps up the speed with the powerful DIGIC 5 Image Processor that helps make high-speed continuous shooting of up to 5.0 fps possible—great for capturing fast action. An 18.0 Megapixel CMOS sensor ensures that every image is shot in superb, high resolution; and an extended ISO range of 100–12800 gives photographers the opportunities to take the Rebel T4i into more shooting situations than ever before. 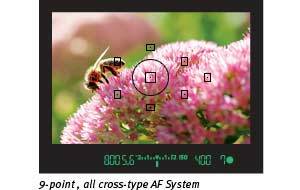 A 9-point all cross-type AF system (including a high-precision dual cross f/2.8 center point) delivers improved autofocus performance, and a new Hybrid CMOS AF System increases autofocus speed when shooting photos and video in Live View. For users interested in creating impressive videos, the Rebel T4i is ready to help you create your next masterpiece. Movie Servo AF provides continuous focus of moving subjects, so you never miss a moment. A built-in stereo microphone and manual audio level adjustment helps ensure that your audio will match the stunning quality of your video. 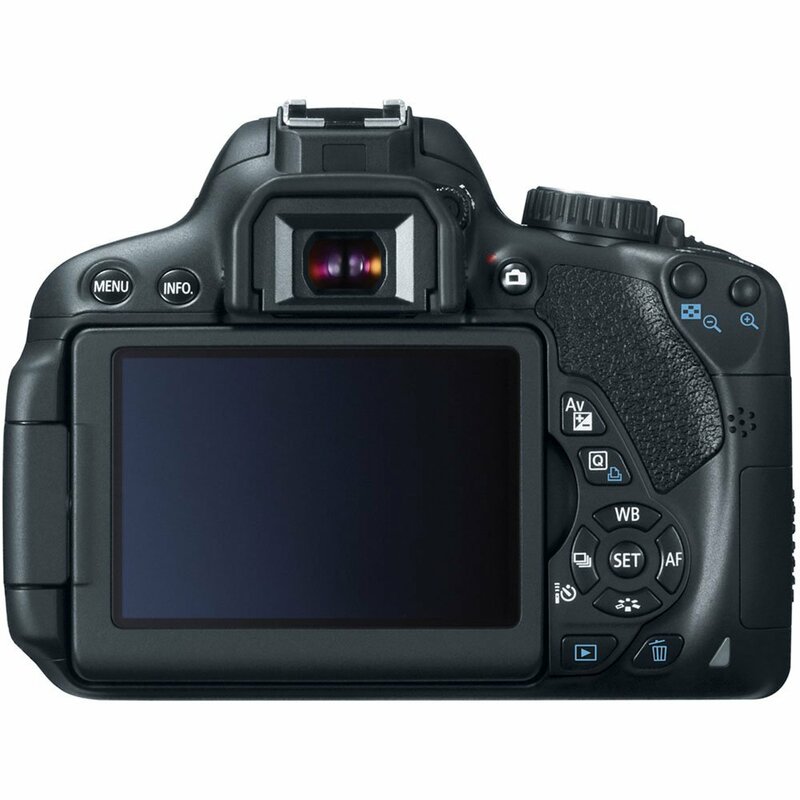 First ever for an EOS Rebel, the Rebel T4i features a Vari-angle Touch Screen 3.0-inch Clear View LCD monitor II, which allows fast and intuitive camera operation. Add compatibility with Canon’s proven EF and EF-S lenses and a slew of EOS accessories, the Rebel T4i is an incredibly versatile tool for creating the images and videos you envision. 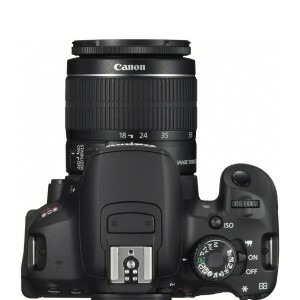 The Canon EOS Rebel T4i 18.0 MP CMOS Digital SLR Camera 18-55mm features Canon’s amazing 18.0 Megapixel CMOS (Complementary Metal Oxide Semiconductor) sensor. Perfect for enlargements or for cropping detailed portions of the composition, the EOS Rebel T4i’s sensor captures images with exceptional clarity and tonal range. This first-class sensor features many of the same new technologies used by professional Canon cameras to maximize each pixel’s light-gathering efficiency and has center pixels that aid in the EOS Rebel T4i’s accurate AF performance. This APS-C size sensor creates an effective 1.6x field of view (compared to 35mm format). With 14-bit analog-to-digital conversion, the EOS Rebel T4i captures and records images with remarkable gradations and detail in subtle tones and colors, resulting in more realistic and detailed images. By recording up to 16,384 colors per channel the EOS Rebel T4i ensures that the fine detail found in subjects like foliage, sky and water are preserved and recorded with a tremendous level of accuracy, ensuring gorgeous results. 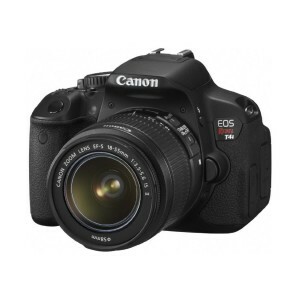 Thanks to its new DIGIC 5 Image Processor, the Canon EOS Rebel T4i 18.0 MP CMOS Digital SLR Camera 18-55mm features an expanded ISO range of ISO 100–12800 (expandable to 25600 in H mode) that makes shooting possible in situations previously unthinkable without flash. The Rebel T4i, with the DIGIC 5 Image Processor’s remarkable noise-reduction technology sets a new standard for Rebel cameras and low-light photography. Along with one of Canon’s EF or EF-S lenses with Optical Image Stabilizer, the EOS Rebel T4i can record beautiful images even when light sources are scarce. 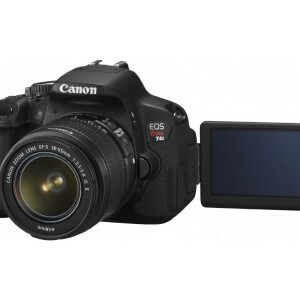 The Rebel T4i is the first Rebel to feature Canon’s DIGIC 5 Image Processor. 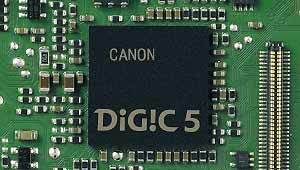 The DIGIC 5 Image Processor works with the camera’s CMOS sensor to deliver images with incredible detail in more situations, without the need for artificial light sources. With the power of the DIGIC 5 Image Processor the Rebel T4i can achieve higher ISO sensitivity, can shoot up to 5.0 fps continuously and can even perform advanced functions like HDR Backlight Control, art filters, lens correction and much more. The brilliant “brain” of the camera, this imaging engine supercharges every facet of still and moving image capture. 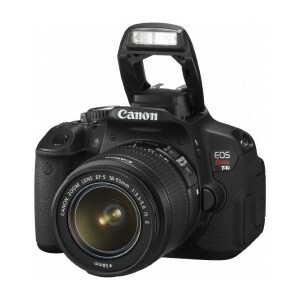 A Rebel first, the Canon EOS Rebel T4i 18.0 MP CMOS Digital SLR Camera 18-55mm can shoot up to 5.0 frames per second, continuously. 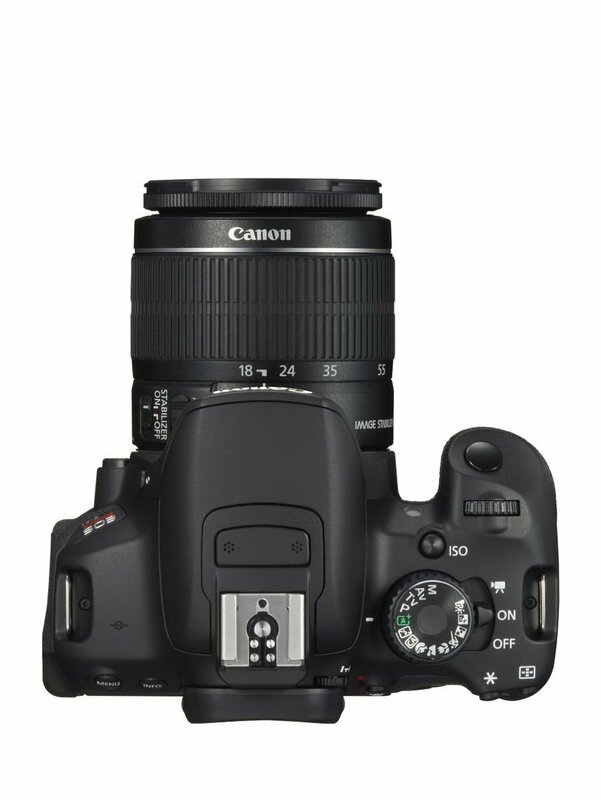 Thanks to improvements in the shutter mechanism, the mirror drive and the camera’s sensor, the EOS Rebel T4i is ready for action; whether capturing that perfect expression, the game’s winning goal, or the bride walking down the aisle, the EOS Rebel T4i delivers the speed and performance to guarantee results. The EOS Rebel T4i is equipped with AF features that ensure speedy, accurate and continuous AF every time. When shooting through the viewfinder, the EOS Rebel T4i has improved autofocus with a new 9-point, all cross-type AF system (including high-precision dual-cross f/2.8 center point) for accurate focus whether the camera is oriented in portrait or landscape position. A new AI Servo AF system achieves and maintains consistent focus with an exceptional degree of reliability. The EOS Rebel T4i features Canon’s amazing new Hybrid CMOS AF System, perfect for shooting photos and video in Live View. This new system combines two distinct AF technologies, phase and contrast detection AF, for speedier and more accurate focus. These complementary focusing systems are aided by pixels on the camera’s CMOS sensor that assist in predicting subject location; therefore making continuous focus tracking quick and accurate in video recording while enhancing focusing speed. 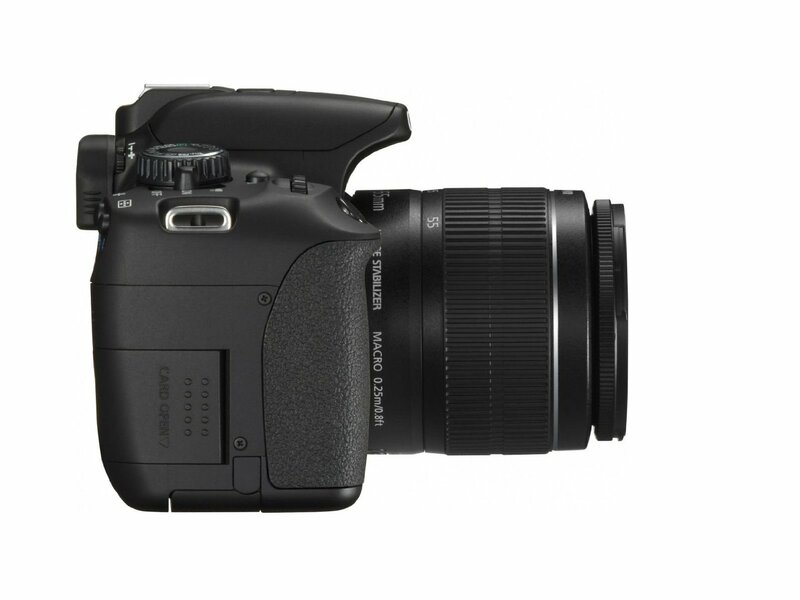 The EOS Rebel T4i offers easy to use, professional video capture without compromise. Capable of shooting in a number of recording sizes and frame rates the Rebel T4i sets a whole new standard for performance, quality and simplicity. 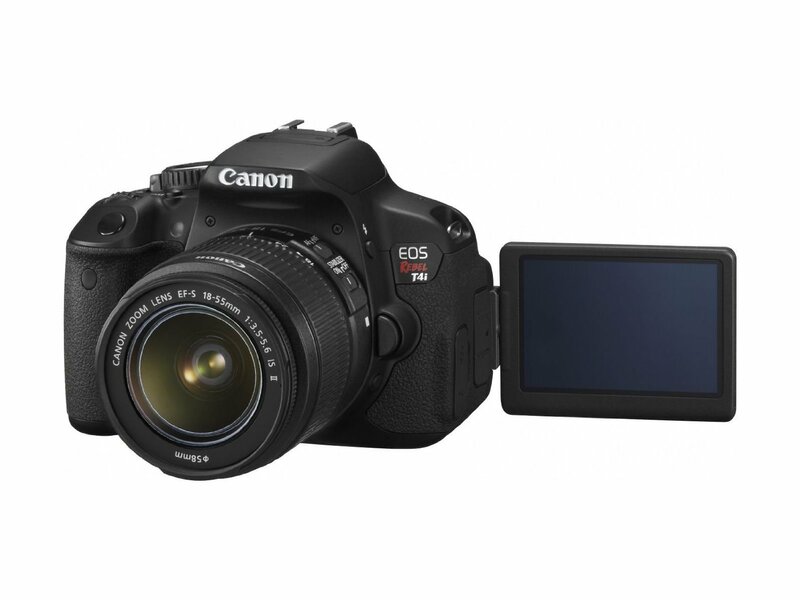 The Rebel T4i enables easy manual control of exposure, focus and Live View features, even in-camera editing! New Movie Servo AF allows continuous autofocus tracking of moving subjects while recording video. When shooting video with one of Canon’s new STM lenses, Movie Servo AF takes advantage of the lens’ stepping motor for smooth and quiet continuous AF. With an STM lens attached, the EOS Rebel T4i sets a new standard for SLR moviemaking performance! The EOS Rebel T4i has an internal stereo microphone for improved audio capture and a wind filter feature to reduce wind noise when shooting outdoors. Sound recording levels can be manually (up to 64 different levels) or automatically controlled. A built-in attenuator is also provided to reduce audio clipping. For more advanced audio recording, the Rebel T4i is compatible with many third-party electret condenser microphones with a 3.5mm diameter plug. With the Video Snapshot feature, the EOS Rebel T4i DSLR can capture short video clips (of 2, 4 or 8 seconds) then combine them automatically into one video file as a snapshot or highlights â€œalbum.â€ With no editing needed after shooting, the compiled video is perfect for sharing online or displaying directly on an HDTV via the camera’s HDMI port. Additionally, stills can be recorded during video shooting simply by pressing the camera’s shutter button. During playback, video clips in an album can now be reordered or deleted. 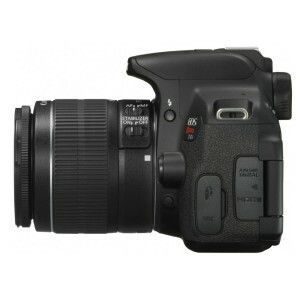 The Canon EOS Rebel T4i 18.0 MP CMOS Digital SLR Camera 18-55mm comes with a newly engineered, Vari-angle Touch Screen 3.0-inch Clear View LCD monitor II. Using the same capacitive technology as today’s popular mobile devices, this new screen is touch-sensitive and delivers intuitive touch panel operation. Two finger touch gestures (multi-touch) can be used for zooming or changing images, menu and quick control settings can be accessed, and focus point and shutter release can be activated with the touch of a fingertip. Displaying fine detail (at approximately 1.04 million dots), this screen is perfect for composing and reviewing images. Thanks to a new, solid construction between the monitor’s resin-coated cover and the liquid crystal display, reflections are minimized, and the display can be viewed, without glare, from any number of angles. The LCD’s surface is treated with a smudge-resistant coating to minimize fingerprints and maintain a bright, clear image display. The EOS Rebel T4i features an enhanced Scene Intelligent Auto mode that incorporates a number of Canon technologies to deliver the best possible exposure. Joining Picture Style Auto, Automatic Lighting Optimizer, Automatic White Balance, Autofocus, and Automatic Exposure, Scene Intelligent Auto mode analyzes the image, accounting for faces, colors, brightness, moving objects, contrast, even whether the camera is handheld or on a tripod, and then chooses the exposure and enhancements that bring out the best in any scene or situation. Accessible right on the EOS Rebel T4i’s Mode Dial, Handheld Night Scene mode captures nightscapes with bright highlights and detailed dark areas, delivering results previously impossible without the use of a tripod. By shooting and combining four consecutive shots at a shutter speed fast enough to avoid camera shake, the EOS Rebel T4i’s Handheld Night Scene mode makes dramatic nighttime photography simple. 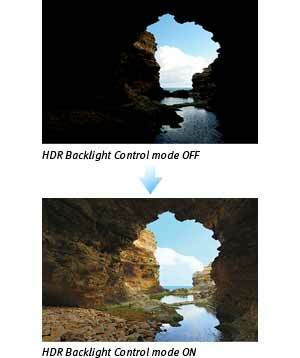 The EOS Rebel T4i’s HDR Backlight Control mode ensures that backlit subjects are not recorded too dark. 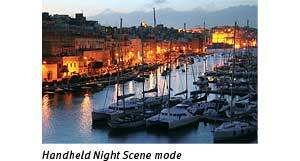 By shooting three consecutive shots at different exposures (underexposed, correctly exposed and overexposed) and then combining the images, the final result maintains detail in both the shadow and highlight areas, ensuring the backlit subject is properly exposed. To add to the fun and creative possibilities available with the EOS Rebel T4i, seven different creative filters that can dramatically alter the mood and visual effect of any particular scene. Creative Filters include Grainy Black and White, Soft Focus, Fish-eye Effect, Toy Camera Effect, Miniature Effect and new filters, Art Bold Effect (makes the photos look like an oil painting, with subjects appearing three-dimensional), and Water Painting Effect (photos are altered to look like a water-colored painting). 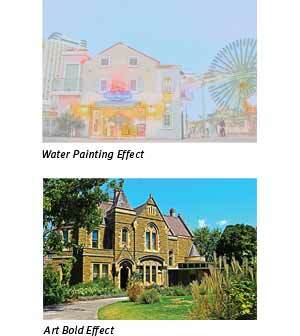 Since the filters can be applied to the image after shooting, it’s easy to try several effects on the same shot. 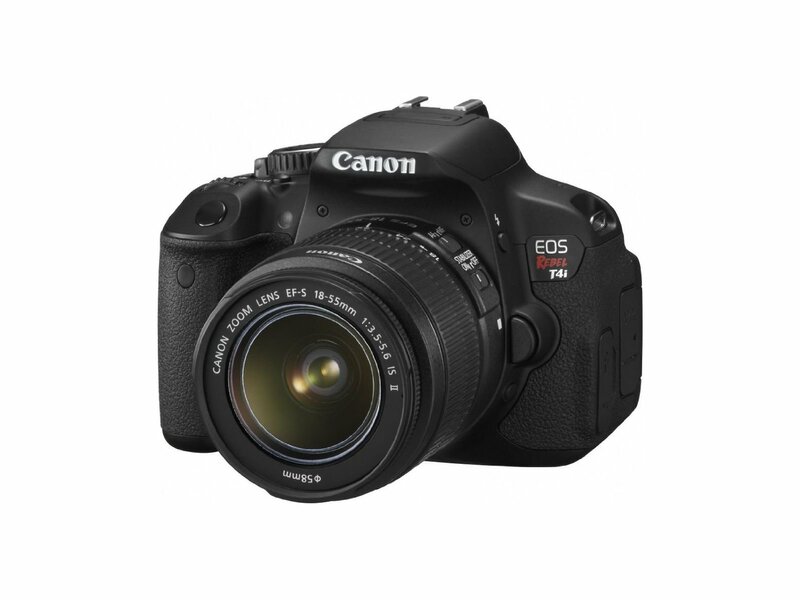 To enhance its already admirable high ISO shooting capabilities, the Canon EOS Rebel T4i 18.0 MP CMOS Digital SLR Camera 18-55mm features an intelligent Multi Shot Noise Reduction tool that reduces noise even further than the camera’s sensor and the DIGIC 5 Image Processor alone. With Multi Shot Noise Reduction activated, the camera takes four consecutive shots, merges and aligns them. This eliminates more noise than the Rebel’s traditional Noise Reduction filter, with little or no apparent resolution loss. Moving subjects are even optimized to minimize subject blur! Thanks to this clever new feature, high ISO shooting has never looked better. The EOS Rebel T4i uses popular SD, SDHC, SDXC and is even compatible with the newest Ultra High Speed (UHS-I) memory cards. Compact and available in large capacities, SD, SDHC and SDXC memory cards are a perfect complement to the EOS Rebel T4i’s compact design. 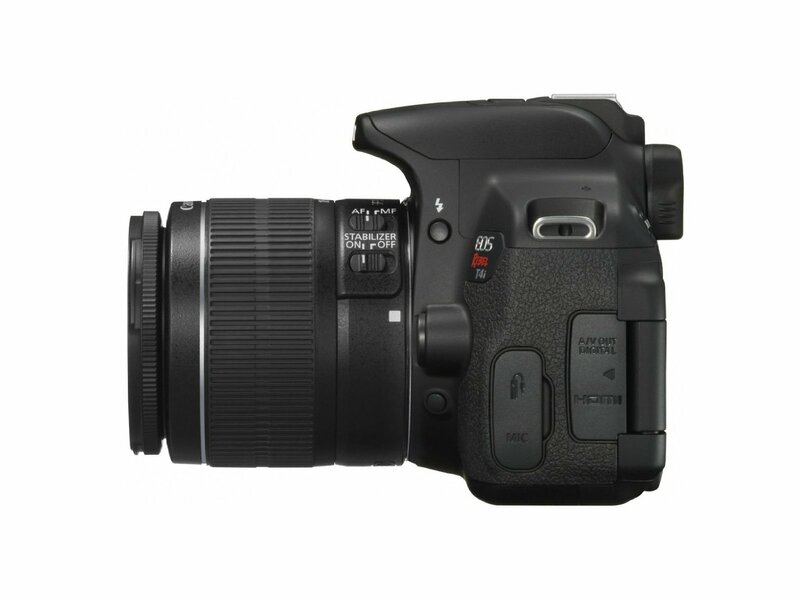 Additionally, the EOS Rebel T4i is compatible with Eye-Fi∗ SD cards, which are outfitted with a Wi-Fi® transmitter (IEEE 802.11b/g) and an internal antenna for wireless, high-speed transfer of images. 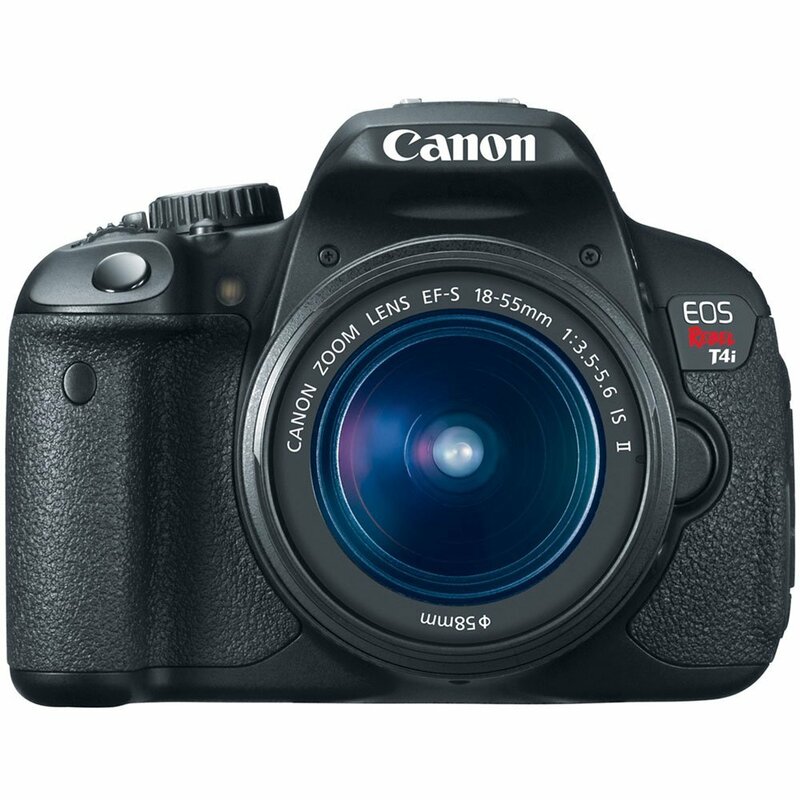 With an Eye-Fi card installed, the EOS Rebel T4i can display the Eye-Fi’s connection status and error notes with ease, for fully functional wireless uploading of images directly from the camera. 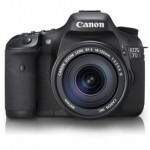 ∗Canon cameras are not guaranteed to support Eye-Fi card functions, including wireless transfer. In case of an issue with the Eye-Fi card, please consult with the card manufacturer. The use of Eye-Fi cards may not be available outside the United States and Canada; please contact the card manufacturer for territory availability. The EOS Rebel T4i is compatible with all Canon lenses in the EF lineup, including compact and lightweight EF-S lenses, ranging from ultra-wide angle to super telephoto lenses and including the new STM series optimized for video shooting. Canon lenses employ advanced optical expertise and micron-precision engineering to deliver outstanding performance and deliver beautiful results. Special technologies like Canon’s Image Stabilizer technology help to minimize the effect of camera shake, effectively adding up to four stops of light; STM lenses even feature a stepping motor for smooth and quiet continuous autofocus while capturing video. With an array of lenses perfect for travel, sports, still life and everything in between, photographers can truly maximize the quality and performance of their EOS Rebel T4i. The EOS Rebel T4i features lens correction tools that compensate for lens characteristics that can affect overall image quality. The EOS Rebel T4i’s lens peripheral illumination correction feature corrects light falloff in the corner of the image according to the characteristics of the lens being used. 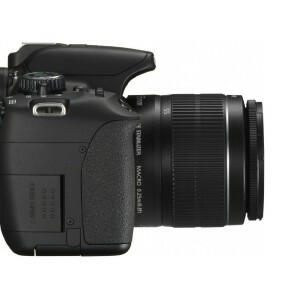 It even has correction data for a number of popular lenses stored in its memory. With the EOS Rebel T4i’s new chromatic aberration correction tool, distracting color fringing can be corrected at the time of shooting. To help explain the specific function of features found on the EOS Rebel T4i, the feature guide displays a simple description helpful in determining the applicability for the situation at hand. It is displayed in each shooting mode, during mode dial operations, and for Quick Control screen functions. It appears automatically when a function is selected—a lifesaver when trying to determine the best mode or function for the next picture. The feature guide works automatically by default, and can be disabled easily through the camera’s menu. With the optional GPS Receiver GP-E2 attached to the hot shoe or the digital terminal, the EOS Rebel T4i can record location, including latitude, longitude and altitude, plus can track the trajectory of movement with its logging function. An electric compass records the camera’s orientation during each shot, and world time information is recorded through GPS syncing. To create images suitable for sharing by email or online, the EOS Rebel T4i can resize JPEG files, in camera, of varying pixels (aspect ratio cannot be changed, only the image size can be decreased) while leaving the original image untouched. Photographers can share their images in book form with the EOS Rebel T4i’s convenient Photobook Set-up feature. Users can easily choose specific images, images in a folder and even all images, then specify their sequence and layout. The results can be printed in book form, with ease. To help organize images recorded to the camera’s storage, the EOS Rebel T4i makes it simple to rate individual images from one star to five. Therefore, image browsing, printing and slide shows can be based upon those ratings. 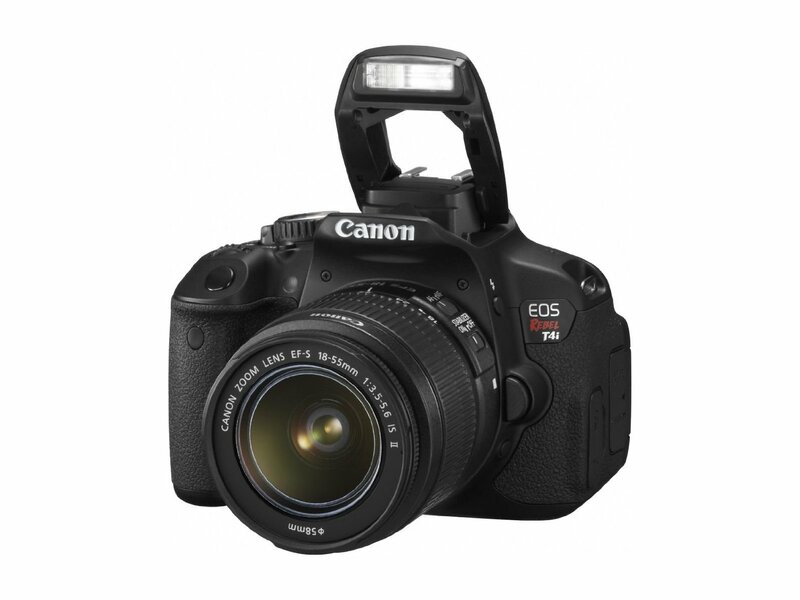 Canon is proud to introduce its most sophisticated Rebel ever—the EOS Rebel T4i DSLR! Built to make advanced photography simple and fun, the new Rebel T4i delivers phenomenal image quality, high performance, and fast, intuitive operation. This EOS Rebel amps up the speed with the powerful DIGIC 5 Image Processor that helps make high-speed continuous shooting of up to 5.0 fps possible—great for capturing fast action. An 18.0 Megapixel CMOS sensor ensures that every image is shot in superb, high resolution; and an extended ISO range of 100–12800 gives photographers the opportunities to take the Rebel T4i into more shooting situations than ever before. 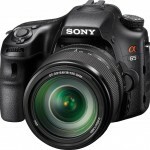 A 9-point all cross-type AF system (including a high-precision dual cross f/2.8 center point) delivers improved autofocus performance, and a new Hybrid CMOS AF System increases autofocus speed when shooting photos and video in Live View. For users interested in creating impressive videos, the Rebel T4i is ready to help you create your next masterpiece. Movie Servo AF provides continuous focus of moving subjects, so you never miss a moment. A built-in stereo microphone and manual audio level adjustment helps ensure that your audio will match the stunning quality of your video. First ever for an EOS Rebel, the Rebel T4i features a Vari-angle Touch Screen 3.0-inch Clear View LCD monitor II, which allows fast and intuitive camera operation. Add compatibility with Canon’s proven EF and EF-S lenses and a slew of EOS accessories, the Rebel T4i is an incredibly versatile tool for creating the images and videos you envision. What’s in the box: Canon EOS Rebel T4i 18.0 MP CMOS Digital SLR Camera 18-55mm f/3.5-5.6 IS II Lens, Eyecup Ef for Digital Rebel Cameras, R-F-3 Camera Cover, EW-100DB IV Wide Strap, LC-E8E Battery Charger, LP-E8 Rechargeable Lithium-Ion Battery Pack (7.2V, 1120mAh), USB Interface Cable IFC-130U, EOS Digital Solution Disk v.25.1, Camera Instruction Manual, Software Instruction Manual CD and 1-Year Limited Warranty.